Tuition rates for North Carolina Community Colleges are established by the State Board as set by the NC Legislature for curriculum students per semester for North Carolina residents and out-of-state students (per NCCCS Administrative Code). The tuition is collected by the individual colleges and remitted to the NC Community College System Office for reallocation through FTE funding the next year. In-state resident students carrying 16 credit hours or less are charged $76.00* per semester hour and out-of-state students are charged $268.00* per semester hour. The College also charges institution fees (described in detail below) pursuant to HCC Policy 6.1.1. The tuition rate for auditing courses is the same as for taking them for credit. Tuition rates are subject to change as mandated by the State of North Carolina Legislature. Information on residence status is found in the General Admissions, Enrollment Management section of this website. * This value is for estimating purposes only. It may change dependent on final state budget approval. Other Expenses: Costs for books and supplies vary by curriculum and continuing education program. Students pursuing degrees in certain programs may have additional fees related to industry certification, licensure, background check, supplies, etc. Students should see the appropriate department regarding additional costs. The chart below represents estimated student expenses for an individual at full-time status (sixteen semester hours) for both the fall and spring semesters at Haywood Community College. The calculations were derived from the Net Price Calculator provided by the Department of Education, also available below. The following institutional fees are assessed when applicable pursuant to HCC Policy 6.1.1. These fees are subject to change without prior notice upon approval by the College Administrative Council and Board of Trustees. The College reserves the right to assess new fees or increase or decrease charges as it may determine. The College will publicize any such changes when and if they occur. Audit students pay the same fees as students who enroll for credit. $32.00 per semester. The technology fee includes all access to computer labs. $5.00 per semester. The access fee includes internet/infrastructure/course delivery method and on-campus parking. Beginning in the 2018/2019 year, HCC will no longer charge a $20 graduation fee to students for each completed certificate, diploma, or degree. In lieu of the graduation fee, and pursuant to Policy 6.1.1, the College will charge students a $3.00 Success Fee each semester they are enrolled in at least one curriculum class beginning in the fall 2018 semester. This fee will cover the cost of degree printing, covers, and other administrative costs related to graduation, the commencement ceremony, or student success initiatives. For an additional charge, students should purchase the appropriate regalia (cap, gown, and tassel) in the campus store if they wish to participate in the graduation commencement ceremony. Some of the curriculum courses in the summer semester are offered on a self-supporting basis. Tuition and fees for HCC self-supporting courses are charged at the in-state rate for all students regardless of residency status. Tuition waivers or exemptions do not apply to self-supporting courses. Students who wish to participate in an HCC graduation commencement ceremony are required to purchase approved graduation regalia (cap, gown, and tassel) from the HCC campus store as needed. These items will be made available, in addition to information on how to order class rings, invitations, and announcements for graduation, as the date of the annual ceremony is near. Some curriculum and continuing education programs of study require additional expenses above and beyond tuition, fees, and books. Students pursuing degrees in certain programs may have additional fees related to industry certification, licensure, background check, supplies, etc. Students should see the appropriate department regarding additional costs. If additional costs for materials or fees are required, they are conveyed to the student prior to registration and enrollment. 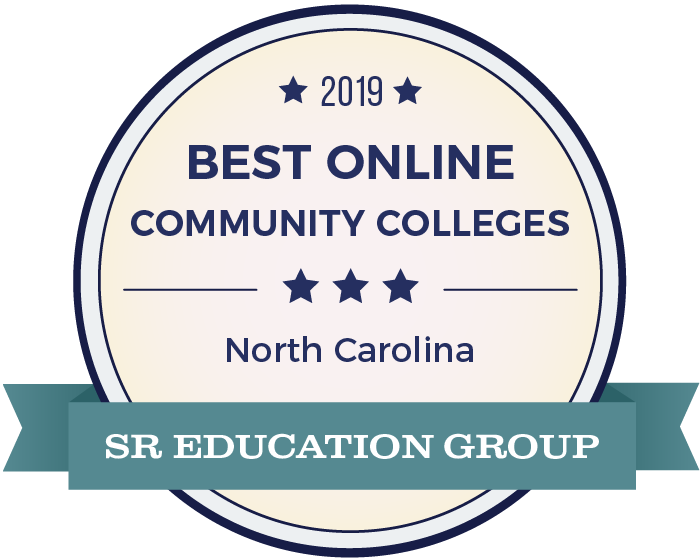 Tuition rates for North Carolina Community Colleges are established by the State Board as set by the NC Legislature for continuing education students per class for North Carolina residents and out-of-state students (per NCCCS Administrative Code). The tuition is collected by the individual colleges and remitted to the NC Community College System Office for reallocation through FTE funding the next year. • Continuing Education Students - $5.00 per course. Tuition and fees are payable in full by the published deadlines. Refer to the Academic Calendar for tuition payment periods. Tuition and fees may be paid by cash, check, money order, American Express, Discover, MasterCard or Visa credit or debit cards. Checks and money orders should be made payable to Haywood Community College. Students receiving financial assistance from third party entities (such as vocational rehabilitation) should have formal authorization filed in the Business Office prior to the tuition payment deadline. A check given in payment of expenses that is returned by the bank results in indebtedness to the College and places the student’s enrollment in jeopardy. There is a returned check fee of $25.00. All previously incurred expenses at the College must be paid before a student may register at the beginning of any semester. Degrees, diplomas, or certificates will not be granted nor will transcripts be furnished until all financial obligations to the College have been paid and cleared by the financial agent. Unpaid debts are turned over to a collection agency after a reasonable period is allowed for payment. Note, a $25 enrollment fee does apply for each payment plan set up. Payments must be made based on the payment calendar schedule provided. To pay tuition and fees out of pocket, students may log into their webadvisor account found in the top-right corner of the HCC homepage, or by visiting the College’s cashier (located in the 1500 building on campus) during normal business hours. Financial Aid and Scholarships are available for students each semester. For more information on how to apply, see the financial aid page on the HCC website. Note: If there are questions about financial aid, please contact their office at HCCaid@haywood.edu, by phone at 828-627-4756, or in person at the financial aid office within student services located in the 1500 building on campus. A 100% refund of tuition and fees shall be made if the student officially drops prior to the first day of classes of the semester as noted in the college calendar. Also, if a course is cancelled by the college, a student is eligible for a 100% refund. A 75% refund of tuition only shall be made if the student officially drops from the course(s) prior to or on the official 10% point of the semester. For courses beginning at times other than the first week of the semester, a 100% refund of tuition and fees shall be made if the student officially drops from the course prior to the first class meeting. A 75% refund of tuition only shall be made if the student officially drops from the course prior to or on the 10% point of the course. For contact hour courses, 10 calendar days from the first day of the class(es) is the determination date for census. If a student, having paid the required tuition and fees for a semester, dies during that semester (prior to or on the last day of the semester the student was attending), all tuition and fees for that semester may be refunded to the estate of the deceased. To comply with applicable federal regulations regarding refunds to individuals or groups, federal regulations will supersede the state refund regulations. All tuition refunds are processed after the official 10% point of the semester and will be mailed to students; student fees are nonrefundable. A student accident insurance policy is provided for each student enrolled in a curriculum course and some courses in continuing education. The premium for this policy is included as a part of the institutional fees charged at registration. Please note that this is a limited accident policy. The policy only covers injuries caused by accidents that occur on-campus during the hours that the College is in session and/or while the student is taking part in a college endorsed activity under the supervision and control of College officials. Students registering for Continuing Education courses are given an option to pay the accident insurance fee. This will cover any class-related injuries as covered in the limited accident policy. Instructions, insurance and incident forms can be found on the web site under current student. Further information concerning student insurance can be obtained from Student Services. Haywood Community College does not provide medical services for students. The responsibility for medical services rests with the student. In the case of illness or injury on campus, please call Emergency Medical Services at 911 to assist individuals. Please call Campus Security (Office: 828-627-4514 or Cell: 828-734-8410) to notify them that EMS has been called so that they may assist until help arrives and help the EMS locate the person who is ill. First aid kits are available in labs and in Student Services. Urgent Care facilities are located a few miles from the campus in Hazelwood, near Exit 100 off Hwy 19-23 and in Canton at Exit 31 off I-40.